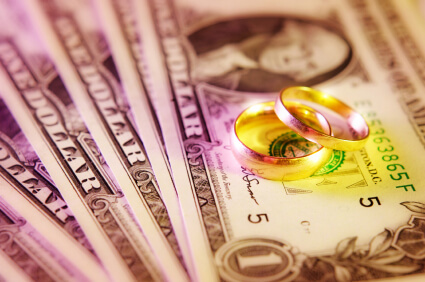 10 WAYS TO SAVE MONEY WHEN PLANNING YOUR SPECIAL DAY! When planning your wedding, remember that you are starting your life with the one you love. And it is important to get that life started on the right foot! That means having a special wedding day but also keeping the life ahead of you in mind. You don’t want to come home from your honeymoon to bills, bills, and more bills. So, the question is—how do you have the wedding you have always dreamed about without putting a huge dent in your bank account? Ask recently married friends what they recall and treasure about their wedding day. You’d be surprised at how little some of them remember. Your wedding day is usually like a whirlwind of events surrounded by few moments that you truly hold dear. Friends who have been through the experience before can help trim down the list of what you want to spend money on and help you decide on what is most important. Get crafty! Things like wedding favors and centerpieces can get really expensive really fast. Wedding favors can be as simple as a candy bar in a personalized wrapper that you could design and print yourself! For centerpieces, go for candles and a photograph of you and your significant other instead of flowers, which are extremely expensive. Another idea is to incorporate the favors into your centerpiece, which can save extra cash. Get married on a Sunday instead of a Saturday– in the winter or fall instead of summer or spring. Most wedding venues have discounted prices for these things. Trim down your guest list. You don’t have to invite everyone you and your family members have ever met. This will save money on invitations AND food! Opt for beer and wine instead of liquor. Also, if you have your wedding earlier in the day, less people will want to drink. Have the ceremony and reception in the same location to keep from having to pay two hefty bills. Print out your own invitations and programs. Most of them will eventually end up in the trash can, and that is money literally being thrown away. You can even design online wedding invitations to save money on postage and supplies. Have a budget, and stick to it! After you figure out how much money will be available to you, sit down with your significant other and create a budget for everything you want. You may even want to take cash with you when wedding shopping to keep you from going over your budget. From the moment you get engaged, be on the look out for sales and deals. Don’t wait until the last minute to buy everything! Take advantage of your engagement period and give yourself time to find all the necessities—most importantly, an inexpensive wedding gown.